Jorge is a Solution Engineer and Manager in ATG’s Missoula Solution Center (MSC). He has been with ATG since 2012 and has worked in a number of capacities with a diverse set of clients. Jorge has worked with companies ranging in size from $80 million to $2 billion in revenue. Jorge also works to support several community non-profit organizations that require technology expertise and strategy. 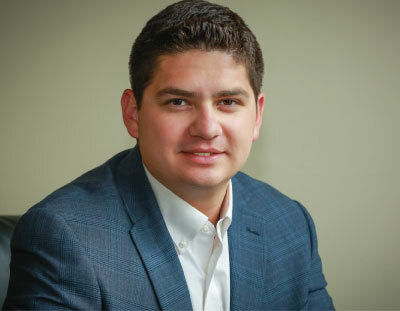 As a consultant, Jorge has led and supported major enterprise transformation projects: agile custom software development, SaaS Q2C implementations, merger/acquisition system integration assessments, enterprise Q2C assessments, and solution architecture support on various SaaS solution design & implementation. Jorge’s skill set is leveraged to support and lead projects, manage consultant team members, and manage strategic accounts. Project managed delivery of a multi-year custom software solution to replace complex scheduling and CRM application. Managed execution of billing consolidation for organizations delivering on a core platform integration after acquisition. Delivered Q2C assessment and provided technology roadmap recommendations to support 40% target year-over-year growth. Helped to define ATG’s documentation and billing system implementation methodologies through a series of client engagements with the Missoula Solutions Center.